Fidgets are an excellent way to keep children with ADHD occupied—especially if you have a child who always has multiple things on their mind. Before moving forward, please note that fidget items are not a one-size-fits-all cure. Different children need different types of fidget and sensory toys to keep them occupied. Additionally, these toys are not limited to children with ADHD. 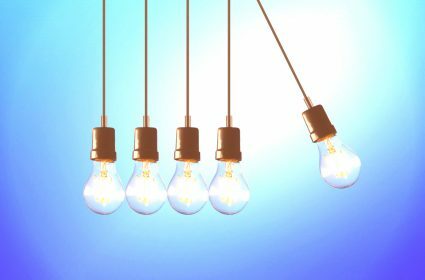 Not only do adults enjoy some of these toys, individuals with OCD, restless habits, and sensory needs will all benefit. You may need to try a few different fidget items before you find the best one that works for your child. 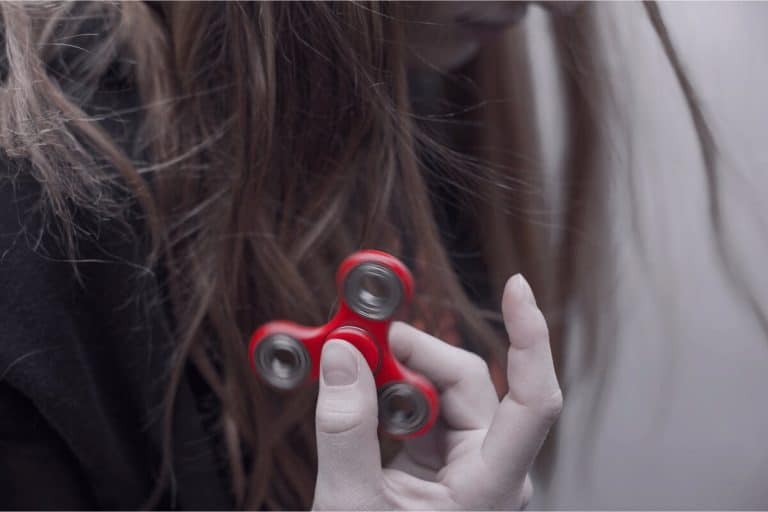 Here, you'll find a curated list of the best ADHD fidget toys for kids. Product links and images lead to the description page on Amazon. Sensory toys have been around long before the fidget spinner craze swept the globe. If you're only familiar with fidget cubes and fidget spinners, these first items will expand your horizons. Wikki Sticks helps children with ADHD feel more settled in their environment. 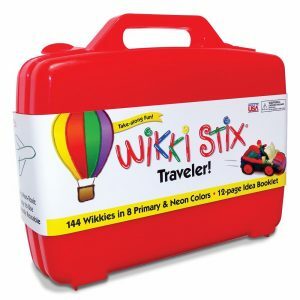 Wikki Stix is a great way to let your child twist, bend, and mold them into different shapes. The motion keeps the child occupied, and the texture keeps them stimulated. Some children with ADHD respond well to subtle noises, like clicks, taps, pops, and drums. 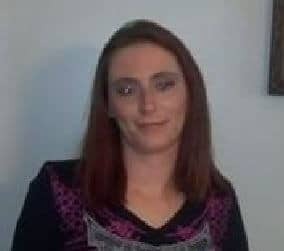 They may also respond well to color and light. Some children respond well to things that click or pop. With Wacky Tracks Clicks, they can bend, pull them apart, snap together, and look at the fidgets different color pieces. Chewelry is an excellent way to keep kids occupied while they are working on various tasks. These pieces of jewelry are designed for biting and chewing. It diverts children from chewing on pencils or their clothes. 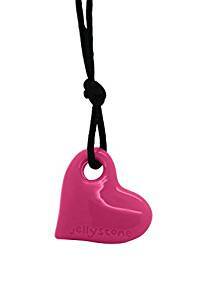 Pictured above is a chewable heart necklace by Jellystone. But your child may also like Chew Sticxx. As a whole, Chewelry is a discrete way for your child to fidget and satisfy oral-motor input cravings without distracting other kids and adults. 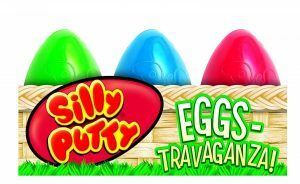 Silly putty is an all time classic way to occupy children who need to fidget. 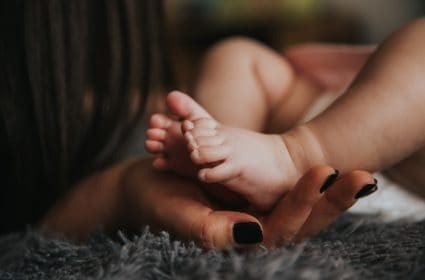 It is great for pushing, pulling and squeezing, which can be very satisfying for children who prefer resistance based fidgeting. The silly putty provides a textural difference as well. The putty feels cool between the fingers, which can be calming in itself. 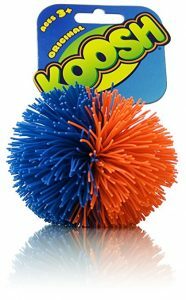 A Koosh Ball provides a great textural stimulating sensation for children with ADHD. 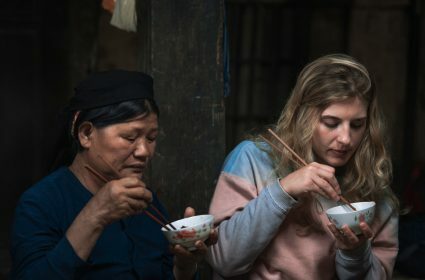 It provides a fascinating sensation that really cannot be likened to anything else. 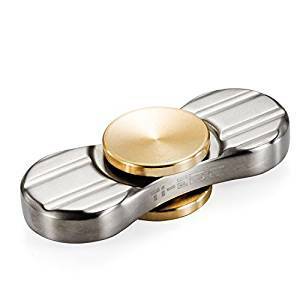 Easily one of the best tactile fidgets, it does not leave behind any sticky residue. Fidget dice are a great way to redirect the need to fidget. 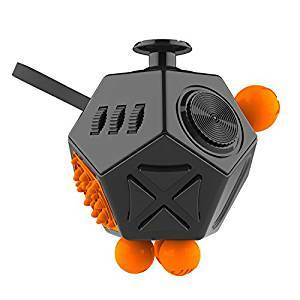 The fidget dice is a 12 sided dice (you might be more familiar with the six-sided cubes) that provides plenty of different things to keep your child occupied. It comes with the ability to click, flick, roll, and spin, depending on your particular fidgeting needs. 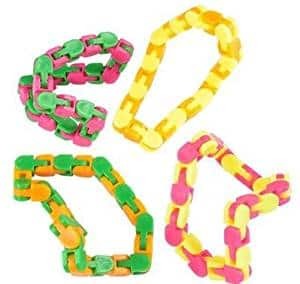 The fidget chain is a unique invention that provides hours of fidgeting fun in the palm of your hand. Mostly comprised of stainless steel rings and chains, textured silicone o-rings were added for increased sensation. In my opinion, the Fidget Chain is just as entertaining as the fidget spinner. 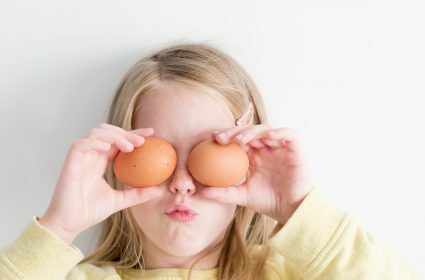 Do you or your children crave different stimuli throughout the day? 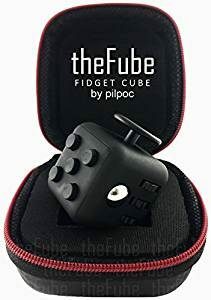 If so, the fidget cube will keep you occupied with many different types of stimuli. I think the fidget cube is very addicting and it entertains adults and children alike. It is ideal for discrete use in classrooms and business meetings. Everyone knows about fidget spinners (that's one reason this item is near the end of the list). However, unless you've done serious research, you probably haven't heard of the TI-EDC Fidget Spinner. This is the fidget spinner designed to beat all fidget spinners. There are no plastic parts in this quality fidget toy. Instead, it is assembled with corrosion resistant brass. The handle is concave for comfort and easy handling. Simply hold the fidget spinner between your index finger and thumb and spin it with your other hand. With practice, you will learn how to spin the fidget spinner with one hand. Inevitably, in school or homeschool, children need to practice writing. 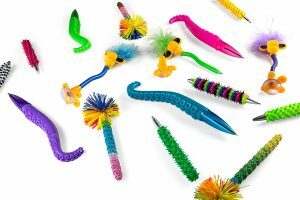 Fidget pens are an excellent way of providing your child with a sensory experience as they write. Fidget pens solve tactile stimulation cravings while functioning as a useful writing utensil. These pens can help reduce symptoms of ADHD, autism, and anxiety. They provide a quiet sensory activity for children with a pop of color.